The Pediatric Cancer Foundation is holding its 20th Annual Walkathon on April 27th. The Gallery Collection is proud to participate by offering 10 assortment boxes of our beautiful greeting cards for use in auction at the event. 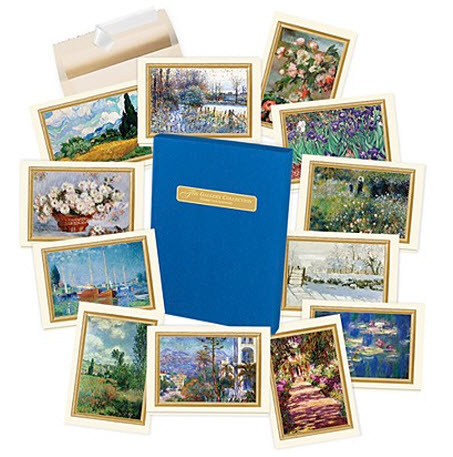 These assortment boxes include birthday cards, all occasion cards, fine art note cards and holiday cards. The Pediatric Cancer Foundation’s mission is to find a cure for childhood cancer. Founded in 1970, this 501(c)(3) non-profit charity raises money for research, state of the art equipment/ instruments and patient/parent care for world renowned doctors at the hospitals PCF supports. For more information about the Pediatric Cancer Foundation Walkathon, please visit their website at http://www.pcfwalk.org/.